'A Dance With Dragons' Author George R.R. Martin 'Playing For Keeps' Author George R. R. Martin's latest epic fantasy, A Dance With Dragons, is finally in bookstores after a six-year delay. Now, fans of his work can finally find out whether their favorite characters will survive — not always a given in Martin's work. George R.R. Martin was named one of Time magazine's "100 Most Influential People of 2011." 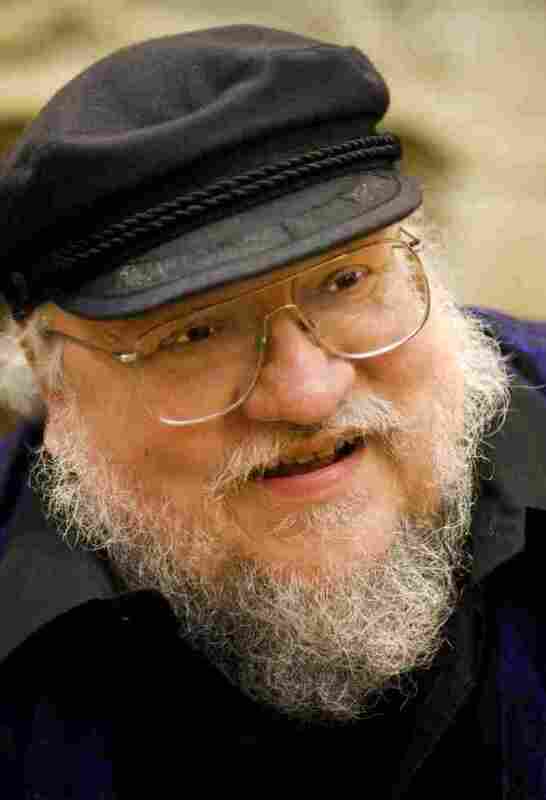 George R. R. Martin is best known as the man behind the epic fantasy series A Song of Ice and Fire. 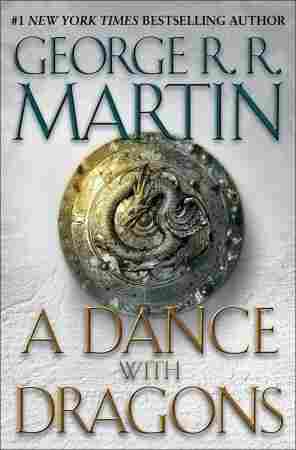 The latest volume, A Dance With Dragons, is now in bookstores after an epic six-year wait. An HBO series based on the first book, A Game of Thrones, just wrapped up its Emmy-nominated first season. But in the 1980s, Martin was a television writer, churning out scripts for shows like Beauty and the Beast. "Whenever I would turn in a script, the producers would say, 'George, this is wonderful but it would cost five times our production budget to produce it,'" he tells weekends on All Things Considered host Guy Raz. So Martin turned to the one medium that could support his outsized imagination: fiction. "One of the great things about books is, you can afford to do anything," he says. But, he adds, even the fanciest fantasy must have some grounding in reality. Martin found his inspiration for A Game of Thrones during a visit to Hadrian's Wall, in northern England. "But, of course, fantasy being bigger and more colorful" than real life, Martin says, "I couldn't have a wall that was 10 feet tall like Hadrian's Wall. So I had a 700-foot-tall wall, and I made it out of ice, and I gave it this storied history. And then, of course, I wanted something to emerge from those hills and trees to the north that was a good bit scarier than Scotland, so I came up with that, too. "So you start with the kernel of reality, and then you extrapolate and you build from there." Martin has often been called the American Tolkien, but he says readers who pick up his books looking for gallant tales of hobbits and orcs may be disappointed. There's no absolute good or evil in his work, just people motivated by human desires — people who often meet messy ends. "If you're going to write about war, which my books are about, wars are nasty things," Martin says. "I think it's sort of a cheap easy way out to write a war story in which no one ultimately dies." Martin adds that he wants his readers to experience the story emotionally, not just read it. "I'm playing for keeps here, and no one is safe in these books. If the characters get in trouble, it might very well be fatal trouble," he says. "The cavalry isn't necessarily going to come riding to the rescue." That edge of uncertainty and danger is one thing that inspires Martin's fans, some of whom know the books better than Martin himself. Elio Garcia and Linda Antonsson live in Sweden and run the westeros.org website — Westeros is the continent where much of the action takes place — and Martin says he often turns to them when he can't remember, for example, what color a character's eyes are. "Elio will write me back right away, 'Yes, his eyes are blue-gray, and you say that in the second book on page 314.'" Such an obsessive fan base can have a downside. 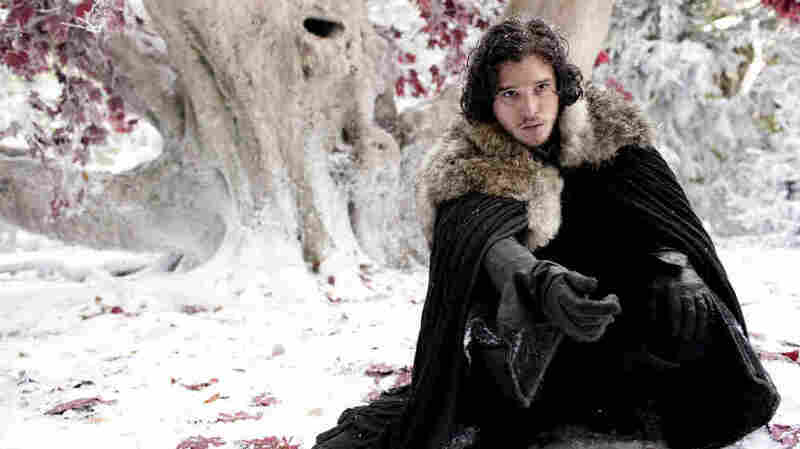 Many fans grew angry and alienated during the six-year wait between the last book in 2005 and A Dance With Dragons. But Martin says that if readers want his best work, they'll just have to wait. "I'm going to take as long as it takes to write these books, to make them good." Excerpted from A Dance with Dragons by George R. R. Martin. Copyright 2011 by George R. R. Martin. Excerpted by permission of Bantam. All rights reserved.